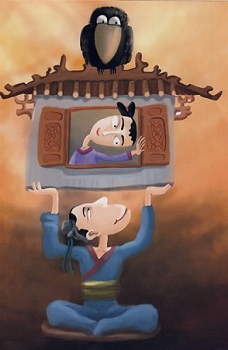 Chinese idioms are characterized with four characters. They are also Chinese fables, because there is usually a story behind each idiom. By the way, do you know what the Chinese kids get during Chinese spring festival? -- Yes. Red envelopes. They get to play lots of fireworks too.